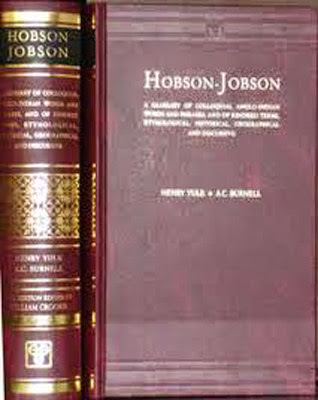 What is the Hobson-Jobson dictionary? In 1872 two men began work on a lexicon of words of Asian origin used by the British in India. Since its publication the 1,000-page dictionary has never been out of print. The size and scale of the Hobson-Jobson Dictionary gives an indication of the impact of words from Indian languages in English. Often they are accompanied by fascinating insights into the relationship between the two cultures. A good example is revealed in the history of the word shampoo - see here. English FAQ Teaching Pack only £1.99!